BDP 43/450 C Adv 12912250 https://www.kaercher.com/tn/professional/floor-scrubbers-scrubber-dryers/single-disc-machines/bdp-43-450-c-adv-12912250.html Very convenient and powerful high-speed machine with planet carrier. For polishing and cleaning. Very convenient and powerful high-speed machine with planet carrier. For polishing and cleaning. The BDP 43/450 C Adv single disc machine is perfectly balanced with two robust aluminium bars. 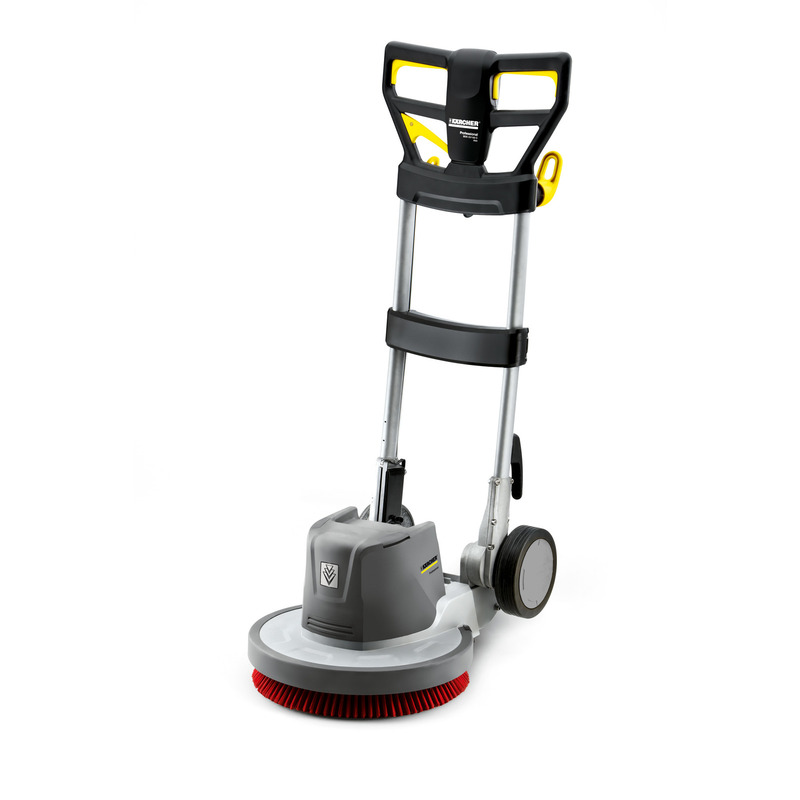 The machine polishes and cleans both hard and resilient floor coverings. The machine is also perfectly suitable for applying care products to wooden floors. The high rotational speed (450 rpm) allows thorough and quick cleaning. The maintenance-free planet carrier and the powerful motor are perfectly adapted to each other. A suction unit with ring that can simply be mounted on the dual-bar system is optionally available. This effectively prevents the development of dust. A cable stub and extension cable ensure easy cable replacement. A 15 m cord is included in the scope of delivery.